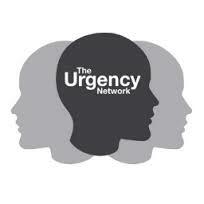 Mike Ragogna: Mike, what brought The Urgency Network to your attention? Mike Shinoda: That was brought to us by one of our staff members at Music For Relief. 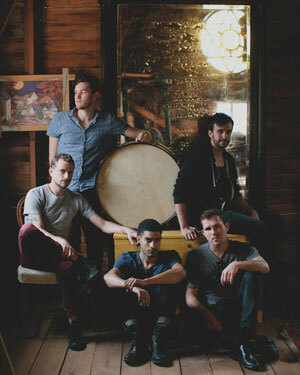 I'm sure you know Music For Relief is our non-profit. We established that back in the two thousands. Music For Relief was originally founded to provide relief for victims of natural disasters and then we also later included preventative efforts to try to mitigate natural disasters. So charity, helping people who are involved or affected by environmental problems, those types of things are always on our radar and The Urgency Network popped up as part of that effort. MR: Many artists are involved with The Urgency Network's efforts including Incubus and Paul McCartney. One of the things that you're offering as a prize to help raise funds is a trip to Japan and hanging out with Linkin Park at the Summer Sonic Festival. How will all this work? MS: The basic idea of Urgency Network is it's an online platform where users get points for everything they do and they're rewarded for their actions. The campaigns each have a big grand prize, and their focus has been on larger-than-life grand prizes. They really want to go big with the things they offer, so a flight out to Japan to see Summer Sonic--that's not just to see us, Summer Sonic is the biggest festival in Japan. it's one of the biggest festivals in the world, from Linkin Park to Metallica, and you've also got great indie bands like Alt-J. Just to go back to the relationship, Music For Relief is trying to create a "jackpot," as they call it, of a million media placements, so that would be the top performing campaign between now and October. So if you go to the page, you can see ways to earn points and whoever gets the most points wins. MR: One of the goals is to raise fifty thousand dollars to send socket-powered LED lamps to the families in need. MS: Yeah, I believe that's the case. MR: It would be great to go over the goals some more, but before we do, what else do we need to know about the process? MS: Well, to wrap that up, let me just say that the campaign with The Urgency Network is cool because anybody can participate but that's not the only way you can help. You can watch videos or sign a pledge for sustainable energy or share things on Twitter and Facebook. Every action that you participate in gets you points and the points get you closer to the grand prize and other rewards. The goal of the campaign is to raise awareness about energy poverty because there are 1.3 billion people on the planet--that's like a fifth of the planet who don't have access to electricity or sustainable energy, and they're using harmful pollutants like dung and kerosene to light their homes and heat their homes and cook their food. That's what Power The World and Music For Relief are working to help people with, and that's what by signing the pledge or watching videos, anything that gets you points, those points are helping combat this sustainable energy problem. MR: Is global sustainable energy one of the things that you feel strongly about? MS: Yeah, yeah. With Music For Relief, we caught the attention of the UN a couple of years ago and we were introduced to the "Sustainable Energy For All" effort by Secretary-General Ban Ki-Moon. They set off on that path last year and we decided to do our own kind of branch-off from that, which is called Power The World. In other words, Power The World is kind of under the umbrella of the UN's Sustainable Energy For All program and the reason we created our own branch was because we felt that by specializing or focusing on smaller areas rather than saying we're just going to try and help everybody in the world--over a billion people need help with this sustainable energy problem--we decided our most effective efforts would be to focus on places where we knew we could make an impact and the first place that we did that was in Haiti, which is great. Being from LA and being from the US, it's nearby. They have massive, massive problems with not only sustainable energy but also deforestation and cholera, and a lot of this stuff can be traced back in one way or another to the living conditions there. So with the help of the UN and supporters of Power The World, delivering them solar light bulbs and solar lamps in a country where you've got a seventy-five percent unemployment rate and a fifty percent illiteracy rate, people need to feel safe after the earthquake. They were walking around in the dark and violence and stuff was happening, and they had nowhere to go and do the things they needed to do, maybe even just going to the bathroom. These things were helping keep people safe and keep their minds off those other concerns and get back to the things they needed to do to move their life to the next step. MR: Mike, can you go more into when you and the group decided to become more hands on with global concerns and contributing in this way? MS: Oh, I don't know... It's been an evolution over time. We started Music For Relief in the mid-2000s--I want to say '05 or '06--and it's been an ongoing thing since probably before that. MR: Normally, you have a lot of bands dealing with issues like climate change or hunger in a general way, but you're digging in and getting specific. MS: The way that I look at charity is that it's something that I wish everybody would do in one way or another, and I think it's an important part of being a member of the human race and it's also something that you don't have to spend money doing. You can spend time, you can give effort instead. For me, one of the more difficult things is choosing where to use that effort. So for us, we try and look at it in terms of where can we make a difference and what skills and connections do we have that afford us the best opportunity to make change. For example, one of the things that we know about Linkin Park is that we are the biggest band on Facebook. We have fifty-five million followers on Facebook and a large percent of those followers are gamers. They love to play games, especially action games. This year, we're debuting a game called "Recharge," which is a Facebook game. It's an action-based puzzle game, so think third-person, three dimensional like an action game, but puzzle-based like "Field Runners." This game, "Recharge," is going to be available to Facebook players later on this year and you don't have to be a Linkin Park fan to play it. The story of the game happens in a future where the Earth's natural resources have basically run out and a small group of people are controlling those resources and using them to enslave the rest of the planet. You're a part of the rebellion fighting them to take the resources back and save the human race. What we've done with the game that I'm really happy with is we're tying in the charitable component so that whether or not you're trying to do anything charitable, you're just playing the game, right? Based on things where money's involved, maybe it'll be ads and we're also hoping to include things like where you buy upgrades for your character. Certain upgrades will actually benefit Music For Relief. So let's say you buy a Music For Relief t-shirt for your avatar, you're actually making a difference to maybe a family in Haiti who get solar lights for their home. MR: You're thinking globally which is really a beautiful thing, but we also have a lot of issues in the United States. What are a couple of things Stateside that you have your eye on? MS: In the US? I think everywhere sustainability, waste, recycling...these things are pretty global issues. I personally try and pay attention to my carbon footprint. I have solar panels at the house; I actually have an electric car as well. I read the other day when I was in London that they've created legislation that's going to make it mandatory for all car companies to reduce emissions by a certain threshold by 2020 I think it is or in the next twenty years, I can't remember which it was. But the idea was that because they passed that legislation in the country, the car companies were going to be forced to acknowledge the fact that they need to be producing hybrids and definitely electric cars as well. If they aren't then they won't meet the standards. So it makes it mandatory and I think sometimes that's the thing that tough for people to deal with here in the States, but it's something that in the bigger picture just needs to happen. We need to be more conscious about the amount of pollution and waste that we're responsible for. MR: How do we bring the United States more into the world family when it comes to these concerns? MS: One of the things that bothers me and I think our generation to a large degree is the in-fighting that goes on in politics. It's like people are playing for a team. When it comes to basketball, I'm happy to watch two teams fight it out. But when it comes to politics, I don't like the idea of people putting their team over the good of the people. So that bothers me a bit and I think it bothers a lot of people, especially when it comes to things like environmental issues where they could be making a difference except they have a responsibility to their team to play a certain way, their team or their supporters, which is even scarier. For me, I wish that the US would lead when it comes to environmental issues. We don't really lead in the world when it comes to environmental issues and I think that's sad. I think Americans, as competitive as we can be--and Americans love to make fun of other countries, like the French, for whatever reason--but truth be told on this subject the French and the English are doing better than we are. MR: Yeah, I have a feeling that we hit the reset button during the Bush years with things like abandoning the Kyoto agreement, the denial of climate change, and environmental issues. I feel like as a country, we may have lost our momentum with a lot of these concerns. MS: I admit, I'm a musician, so I spend the majority of my time playing shows and making music and I am definitely not the most knowledgeable about the weekly goings-on with the legislature or the changes in that kind of landscape. But in general terms, I know that there are things that we can do on an individual basis that make a difference. When I talk to people who say, "Well what do you say to people who just don't believe it's even happening." Let's just humor that for a moment...I always say that if you walk around your house and you say, "My house is not a mess, so therefore I'm not going to clean it up or keep it clean," guess what your house is going to look like in six months? If you say to me, "It's not happening, so I'm not going to do anything about it," it's the exact same thing. If you're not going to do anything about it I don't give a crap about if it's a mess right now or not, if you're not doing anything, it's going to be a mess sooner than you know it, so you might as well get on board and help out. MR: Can you give an update as far as what's going on with Linkin Park? MS: Yeah. Other than the game, which we're very excited about, we're working on a new album, we're about to go on a tour in Asia, and I can't give you too many details about what we have going on, but I think in the next month, we have something very exciting for fans and I'm only allowed to pique your interest. That's all I'm allowed to say. I promise something very exciting for Linkin Park fans in the next month. MR: My traditional question. What advice do you have for new artists? MS: I always tell new artists that the key to their success as they're beginning is to not worry about other people helping them out. It's really that they have the power to get their music to the next step completely on their own at this point in time, whether it's talking about making the music, recording the music, playing the music live or just spreading the word about the music, there are so many tools out there, especially online, for people to just make amazing stuff and they don't really need anybody's help. That's not a knock against the label, I think the label can be really useful once you've already established something but don't look to some label or some producer or some deal to get you to the next step, especially if you're doing it just to get famous. I never related to that. To me, it's always been about making great art and being able to stand behind that at the end of the day. MR: If somebody wants to jump in and do something socially conscious, where does one start? MR: Might it be simple things like recycling? MS: Well, I always find that the way to get into charity is to choose things that are meaningful to you. For example, if you have a family member or family members who have passed away because of cancer, or if you have friends and family who have been affected by some kind of natural disaster or tragedy, I feel like that's a place where you'll be motivated to make it a habit. To me, the habitual nature of charity is the most important. If you're only doing it every time something bad happens, then I think there's an element of guilt that goes with it, and I don't feel like people should be just doing charitable actions based on guilt. It should be a positive experience. It should be habitual. Challenge yourself to do it when you don't feel guilty, so that it's only a positive experience and you're not doing something because something went wrong. MR: If you were to become socially conscious today, if you were to look at one thing today that would get your attention, what would it be to get you motivated? MS: One thing that I'm personally really excited about--and part of this is because I've got an interest in Haiti, especially in recycling down there--one of the things that's going on right now that I think is really cool in the US and other places, too, is that people are starting to use recycled plastic and recycled material to make things like jeans and t-shirts. The recycling technology is always changing and developing. I found out just the other day that that styrofoam that everybody used to think was so bad for the environment because it "can't" be recycled, that's actually recyclable now, you just need to sort it. A lot of people don't know that because, especially if you're thirty years or older, you just grew up hearing that was bad stuff. But the super-super cheap styrofoam is now a recyclable. It's come a long way and it's going to continue to develop and hopefully stuff like that becomes a part of being able to just reuse and reuse instead of just making more crap and making more waste. MR: Beautiful. I really appreciate your time Mike. Thank you very much. Mike Ragogna: Brandon, you've been at work with some social-minded projects work lately. Brandon Boyd: Yeah. You know, over the past, I had done little bits here and there before we started our non-profit with Incubus, the Make Yourself Foundation in 2003. But we started slowly into that doing the bootleg series and donating all of the proceeds to a couple of other non-profits we were working with. But it's sort of slowly but surely been ramping up and getting more fun and more interesting, so I'm super excited about all of the things that I'm able to be a part of and it's a wonderful place to be for sure. MR: Basically, you've used your celebrity and success to help take care of the planet. BB: [laughs] I would like to think so. The word "celebrity" is a word that's always made me kind of cringe and truth be told, it still does a little bit. But when you put it in the context that you just did, it doesn't irk me as much. I see it more as like a small platform to, for want of a better term, do the right thing. If you have a way of reaching a lot of people, it seems a wonderful opportunity missed if you don't do everything in your power to bring light to certain things. There's so much always going on in our busy little planet and so many of them get kind of crushed under the weight of what, in my opinion, are so many other uninteresting and unimportant stories. If this is me on my small little platform in this brief amount of time that I have and I can bring light to certain things, I consider it my responsibility to do so. MR: Incubus is associating with The Urgency Network, where many artists such as you guys, Paul McCartney, Linkin Park and Metallica are contributing time and efforts in concerts, et cetera. What are your thoughts about what's going on with the Arctic, one of the causes being addressed by the organization? Like how do you feel about how the politics of this are playing out? Do you think that raising the level of consciousness through bands like your own and other knowledgeable people and organizations like Greenpeace, but also considering the power, money and resources that multinational companies that resist many of these efforts have, will succeed in making significant changes finally? BB: You know, we're definitely walking against the wind in this case and in any regard where there are one or more multinationals. There is a very clear agenda about certain things. Mostly because you've just had all of that financial money you're working against and, a lot of the time, you're also working against the will of governments who also have a financial end and a sociopolitical end in their crosshairs. So it's definitely an uphill battle, but I do think that something is able to happen through influential people like Paul McCartney. He's a perfect example, and I'm so glad he's a part of this. He has a voice in our culture and has had for a long time and people listen to him. When he comes out and says something, people pay attention, and on a much smaller scale, a band like Incubus gets involved in something and our relative listening base will get involved as well. I honestly think that any and all meaningful change when it comes to environmental issues or political issues aren't going to come from a government. I know this doesn't even get said often, but I really believe it--it's not going to come from a government or a multinational, it's going to come from popular opinion. So in this position that we have and we've been talking about, if we have a chance to sway popular opinion, we're going to take it. It's one of those things that I think the climate change deniers... I honestly don't believe the ones that go on TV and say, "The jury's still out," the ones that proudly fly that denial flag. I think there's some kind of financial gain for them and there's a sociopolitical end that they're pointing towards. To me, that's the most foolish thing that anybody could ever involve themselves with. MR: It does seem like a large percentage of the masses get fooled and work against their own interests by not following the next logical thought in what's being presented to them by politicians or persuasive ad campaigns. BB: An example is the automobile industry. There's so much government assistance in propping up these old companies for lots of reasons that I can understand; a lot of them are the backbone of our economy. But there is so much need and popular desire for newer technologies and cars that it takes a privately funded technology company--like Tesla and Elon Musk--to come out with something that is really going to change it and it has nothing to do with what the government has been doing. There are all these efforts to sideline it as well with all the tried-and-true sabotaging ways that those industries have used. Case in point with that New York Times article. I don't know if you read that, where they tried to skewer it, but then Elon went on the defensive about it and it seems like he kind of came up smelling like roses in the end because that car is winning, it seems like, which is so hopeful. That's a huge uphill battle that he's fighting and it seems like he's doing really well. I haven't read the statistics on the car sales but you can't turn your head in any direction in LA without seeing one of those cars zooming by quietly. MR: You know it does seem people taking control--not by anything radical but in subtle ways like using economics--might shift the economy to more green initiatives, so to speak. There are some alternative energies that are proving to be financial windfalls for some people and newer companies. You also have "sustainable living" slowly weaving its way into the fabric of the culture. People are talking about these topics on a daily basis. BB: I think that's a perfect segue into The Urgency Network's "Ten Island Challenge" idea. You've heard about this, I'm assuming? BB: They're going to create these islands in Aruba as sort of these living examples of ways that we can have a sustainable economy. They're creating these little pods that are examples of how it could work and if they work--and I think that they can work if they have all of the right ideas and all of the right people working on them--they could prove to be hugely, financially successful. So I think those types of things are taking it to the next level. MR: Brandon, you have an EP. BB: Yes. The EP came out on the twenty-fifth of June and the full length comes out on the twenty-fourth of September. BB: This project was kind of made a bit more in the spirit of how I grew up, drawing and painting, which I still do often. It's a very joyous expression for me, to paint, and making music is another medium for me. It was only one other person I was collaborating with, Brendan O'Brien, and he's such a wonderfully effortless musician in so many ways. I'm a much more labored musician, definitely much more of a lyricist and a singer. I have some good ideas as far as the mechanics of the music, but that goes a little bit more slowly. With this, we didn't have a clear-cut idea of what we were going to be doing or when we would do it, what it would sound like, what it would look like in the execution, nothing. We just wanted to work together because we had worked together for over a decade on Incubus projects. We did three records with him. I think he and I were more curious to see what it would be like to just kind of go one on one, just him and I in the studio bouncing back and forth just to see what would happen. Back to my original point. The way that it came out is a lot like the way I draw or paint a picture: I don't know what I'm doing, all I know is there's a blank sheet of paper or a blank canvas in front of me and an overwhelming desire to make something hopefully beautiful or evocative emotionally or intellectually or something. So in that sense, with the music, we went into the studio with the desire and the studio was a blank piece of paper. We just started drawing. What came out was very interesting because it was coming through his influences and his reference points, both spoken and unspoken, as well as mine, and this sort of weird amalgamation of all of our different reference points from the past--probably twenty years--started to come out from both of us. There's a lot of that layered harmony Beach Boys thing, and I grew up with Harry Nilsson. He probably was referencing things that were causing me to unconsciously reference things that I don't even know where they were coming from because he was able to reference a whole other generation before me. It was really fun. I'm really excited for the rest of the album to come out because it goes considerably deeper into those kind of weird random references. But it all kind of comes out sounding as this accessible weird pop thing that it does. We both grew up on pop music. It was a lot of fun. MR: I also love that it goes from extreme to extreme. In some respects, you can't get any more square than The Beach Boys but you also couldn't get any more progressive or experimental than The Flaming Lips. It ran quite a gamut. BB: Right on, thank you. MR: I also wanted to throw out there that although you're experimenting with various era's sounds, it does still seem like that same guy who sang "Drive." BB: [laughs] Right, thank you. It is. The thing that I think is probably the most significant "through line" between all of the albums and different projects is my intention is the same, and the intention is to be as true to whatever voice is in that moment. I actually can't think of a moment in my music career so far when I said to myself or out loud, "I want to write this kind of song," "I need to write a 'pop song,'" or "I need to write a 'rock song,'" probably, a lot of times, much to my own demise. What's great about working with the guys in Incubus, too, is that a lot of the time, they have the same or similar ethos about writing music. They want to write music that has a sense of integrity in it, so you can't fall back on your tried and true methods. We could have, so many times, been like, "Ticket sales are going down," or "Album sales have gone down, it's time to pull out the next 'Drive.'" That would have been so sad. I think that would have really taken the steam out of our engine a long time ago had we fallen back on that method. We never have and I feel really blessed and grateful that we've had the opportunity to remain almost childlike, in a way, with the way that we approach this, even though it has become like a business--and a big business in certain respects. We've still been able to remain childlike with it. It's almost like our playground or our sandbox, and has been able to just kind of grow and grow and grow. It's a really wonderful feeling. MR: Hey, what advice do you have for new artists? BB: That's a wonderful question. In coming up as a young artist, there was a lot of advice flying around from other bands and industry people and managers and things like that, and I learned early on that it would probably behoove my creative spirit to be wary of advice. That's what I always tell people when they're like, "Do you have any advice for me?" "Yeah. Be wary of advice." In other words, follow your inner compass. Only you know what the right thing to do is. Everybody's path is just a little bit different at the very least, and sometimes, drastically different. Even if one of your heroes is giving you advice and it could sound like really great advice and it could be coming from a really pure place--coming from the voice of your hero--but everyone's path is different. So definitely follow your inner compass and be wary of advice. MR: Cool Now what do you think was the best advice ever given to you? BB: Lighten up. [laughs] Don't take this s**t too seriously, not just in the music industry, but probably life in general. There is a time and a place but most of the time you should probably lighten up. That's definitely been some good advice for me. MR: Looking back at your hits and looking back at the success you've had with Incubus, at this point in your life, what are your thoughts on it all? BB: I feel almost entirely an overwhelming sense of gratitude for the opportunity to do it. I resigned myself a long time ago to a life of being kind of a starving artist and I just knew from the time I was a child that I was supposed to draw things and sing things and there's no road map for a way to have a career in doing that. I always thought, "Okay, I'm going to be very happy but sort of simple in my lifestyle. I'll just be an artist and if I can live in a tree, that's fine." I think that accepting that shrank the vessel of my expectations and my desires, and as a result, I just feel this constant state of "Holy s**t, I get to go and sing in front of ten-thousand people tonight? Okay!" [laughs] "I get to write music with one of my musical heroes growing up, Brendan O'Brien? Okay! I'll be there!" MR: Hey, do you see this unity between you and Brendan, this partnership, extending beyond Sons Of The Sea with your solo career? BB: Yeah, yeah. We've actually been making music together now for about twelve years or so in some capacity, so the Sons Of The Sea thing is just a new chapter that we've turned onto. I loved the process of making the record with him. It was so much fun and we were really kind of laughing and enjoying ourselves the whole time, so I very much look forward to making more music with him. It probably will be with Incubus but I would also love to do another Sons Of The Sea album. MR: Will there be touring for Sons Of The Sea? BB: Yes, probably later this year and into the beginning of 2014. MR: Brandon, I really appreciate your time, this has been wonderful. Thanks much. BB: Right on! Thank you so much. I appreciate your time. What Is The Urgency Network? from Urgency Network on Vimeo. "We make music, then we describe making music in this video, and now we are describing the video of us describing making music," says lead singer Drake Margolnick. Guitarist Matthew Padgett jokes, "Based on this video I think the band should get lifetime free meals at Chik-fil-A," adding, "I hope we play better than we talk." "We did the interview parts during some downtime while shooting a video for 'Break the Sky,'" drummer Michael Finster explains. "We're sitting in a back stairwell of Charlotte's old Carolina Theatre. It's being massively renovated, looks like a war zone inside and, honestly, is kind of spooky. We had to sign liability waivers that if we got hurt or died we wouldn't hold the theater responsible. It was just another day of risking death for our music."